Modish is an premium WordPress Theme made by europadns on themeforest marketplace. This theme is fully responsive with clean and elegant design. Modish WordPress theme is perfect for fashion model agencies, digital studio or any glamours portfolio website who whats to show there works on creative and clean way. It supports WooCommerce so you are easily create eCommerce shop to sale your products. 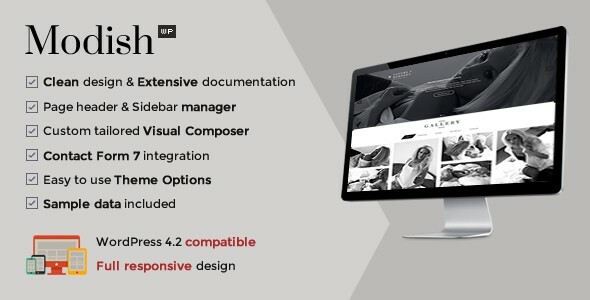 Item Reviewed: Clean and Elegant Fashion Model WordPress Theme 9 out of 10 based on 10 ratings. 9 user reviews.